49% of people in the world with phones have a feature phone*, and some people can only use their smartphone to call and text. 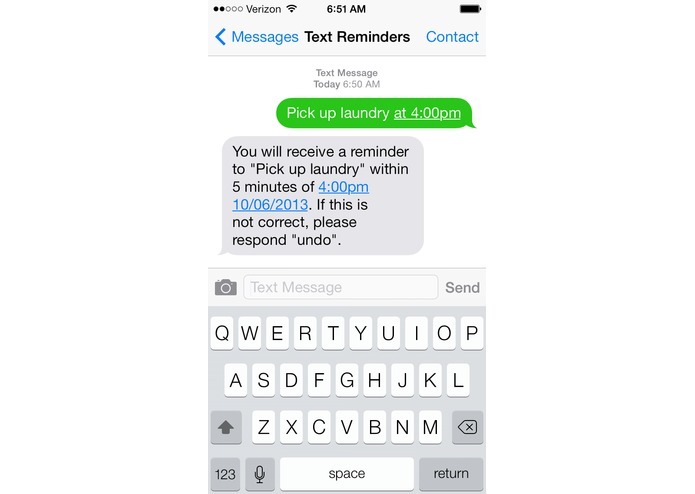 Without an easy way to set reminders for their daily tasks, they might forget to do something at the right time. 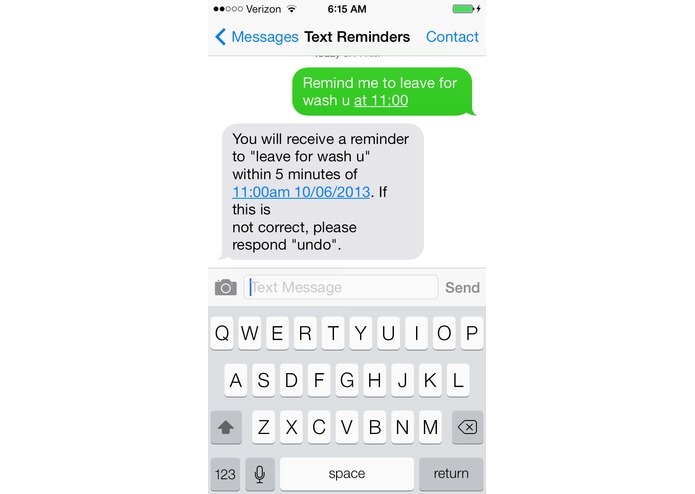 Reminders by Text is a service that allows anyone to text a number with something they want to be reminded of at a certain time. 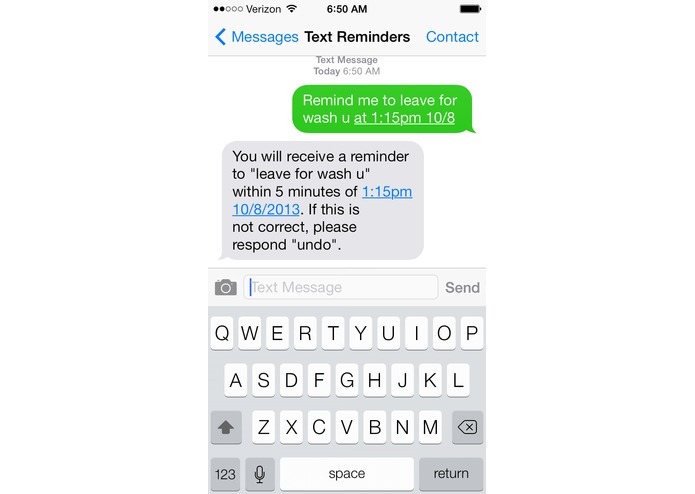 The service will text the person with the reminder within 5 minutes of the specified time. 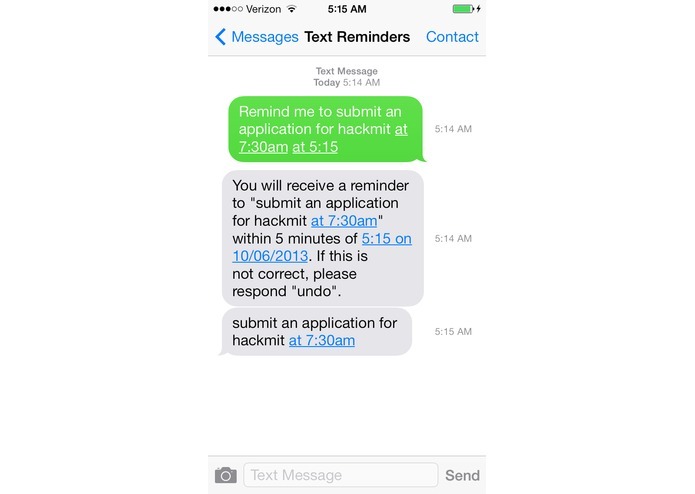 The person can text the service number in a variety of formats and the service will figure out what they mean. 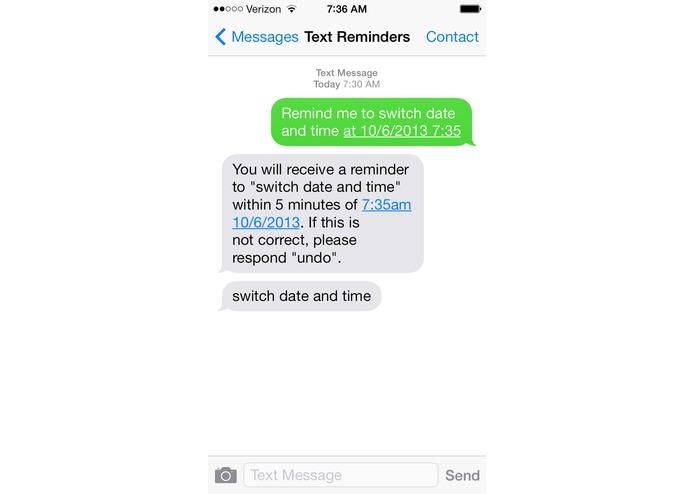 Additionally, the person can delete the last reminder they set by texting the word "undo" to the service number. The only limitation is that the date and time specified in the text must be after the word "at."